I have experienced same problem in two customers within four days. I had server with operating system Windows Server 2012 R2. 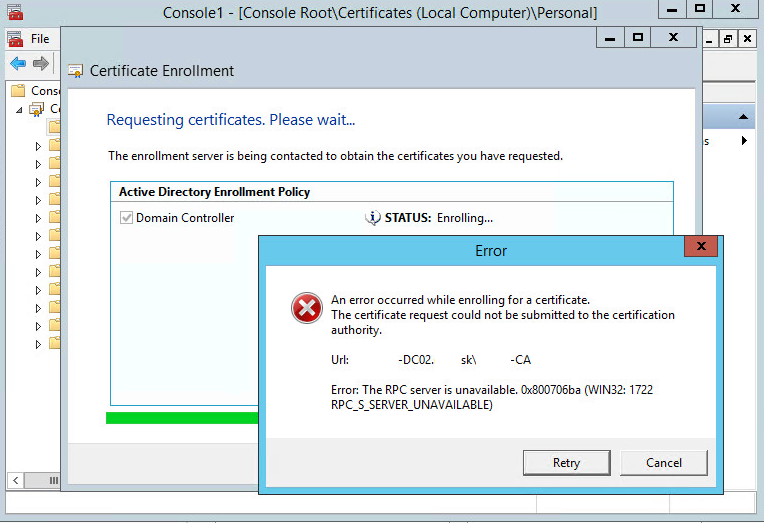 I installed role Active Directory Certificate Services with default settings. Also default certificate templates were installed. One of the default certificate templates is called Domain Controller and it should be enrolled automatically to all domain controllers using autoenrollment method. 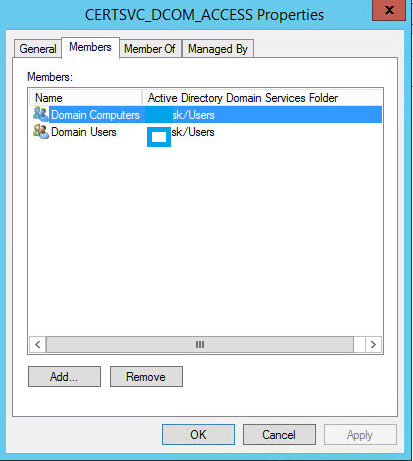 I just inserted group “Domain Controllers” into domain group CERTSVC_DCOM_ACCESS. Rebooted domain controllers, they had to get new group membership, and everything started to work as expected.